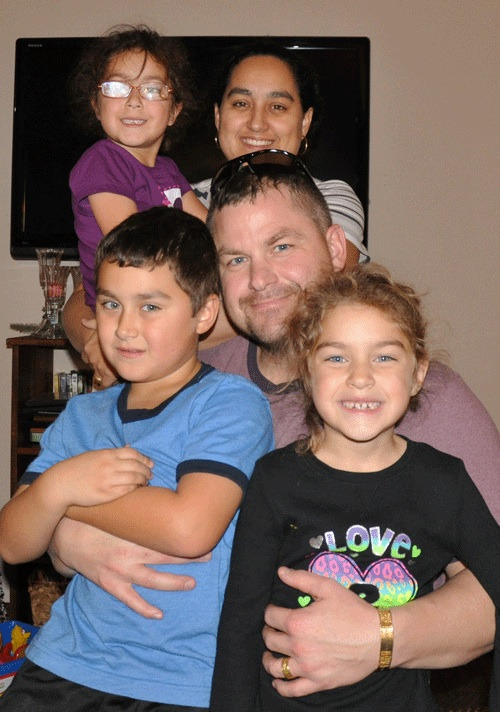 NFI invites the nation to help select the 2013 recipient of the Military Fatherhood Award™ by voting for our four finalists on Facebook. These dads are inspirational examples of involved, responsible, and committed fatherhood and we are grateful for their service to the country. As we encourage people to vote for the finalists over the next four weeks, we'll share practical tips inspired by the finalists that you can apply with your child. This week, we're shining the spotlight on Major Kevin Billups. #1 Get involved in your child's activities. Major Billups serves as a Cub Scout leader in his son's troop. He helps his son learn the material in the Cub Scout handbook and work toward the achievements required for advancement. Being involved in your child's activities allows you to spend more time with your child, get to know your child's friends, and encourage your child to develop skills and interests. Whether it's a Scout troops, sports team, school or church activities, or other extracurricular activities, take an extra hour a week to be part of something your child is doing. #2 Find ways to connect with your child. When Major Billups was deployed, his son packed his favorite toy dinosaur in his dad's luggage. Maj. Billups took the dinosaur on all his flights and sent pictures home of the dinosaur accompanying him throughout the day. The dinosaur gave his son a fun way to see what Dad did while he was away. If you travel for work, you can do something similar. No matter what your job entails, find fun ways for your child to identify with what you do on a daily basis. #3 Involve your child in household chores. As is the case with most families, much of the Billups time is spent apart at work and school. Maj. Billups involves the kids in everday tasks and chores so that they can spend more time together. This also enables him to teach the kids responsibility. Your kids, no matter how old they are, can also help around the house. Identify age-appropriate tasks that your child can do or find ways to let him help you in your projects. #4 Share your fathering experience with other dads. Maj. Billups enjoys sharing his love of the outdoors with his children. They go fishing, gardening, build makeshift tee-pees, and other activities he enjoyed as a child. The family also captures their adventures by taking photographs. As much as you can, turn off the TV and get your family together outside.